It is almost touching how unbelievably German the AfD is behaving right now. In Turkey, Erdogan drives home his constitutional referendum with unrestrained use of power. In the United Kingdom, Theresa May proves her machiavellistic skills with her snap election announcement. In France, Marine Le Pen appears to have a realistic shot to reach the highest and most powerful office of the state in these days. And the AfD? Five months before the Bundestag election, the German right-wing populists, on the occasion of their party conference in Cologne, are infighting in the most bizarre manner, the matter in dispute being the question whether best to reach for power right away or rather wait and keep sulking away and push the limits of discourse, patiently filling the reservoirs of Ressentiment in the German society drop by drop, unencumbered by political compromises and considerations, for the established parties to ultimately drown in, a process expected to happen over the course of two or three decades. Even for a party so firmly committed to all things German, isn’t this a bit over the top? "Fundamental opposition" is, according to Frauke Petry’s so-called Zukunftsantrag (future proposal), the name for one strategic option, "Realpolitik" the name for the other. That sounds familiar to all who remember the rise of the Green party in the and 80s and 90s, which is certainly intentional on Petry’s part: Over there are the wild guys, the firebrands and dogmatists, while here are the comparatively reasonable and moderate ones. Frauke Petry as the Joschka Fischer of the right-wing populists? I think that is grossly misleading. "The aim is to achieve relative majorities in the parliaments from the second legislative period on," says Petry’s proposal. Coalitions? Only as the biggest partner, for the time being, which means: only if we get to be prime minister. It is not policy Petry seems to be interested in so much, not taking responsibility for certain government portfolios to realize certain goals, not making slow and steady progress negotiating with hard-nosed coalition partners, she does not want to forge a hard-won majority for certain targets shared with competing political forces. She want access to the power of the state. The Chancellery. The Richtlinienkompetenz. Right-wing populists are not a party among many. They claim to represent "the people", and once they have the power of the state in their hands, they will not hesitate to use it to never let go of it: legislation, judiciary committees, police, you name it. The alleged parallel to the Greens is based on the fact that both started out claiming to force those in power to acknowledge what they would not see by themselves, environment and minorities in the case of the Greens, the anxieties of the "ordinary people" about immigration and loss of identity in the case of the AfD. In contrast to the Greens, however, the AfD has very little to which its power could still relate to once it has it, except itself. Greens in power means environmental protection and emancipation. AfD in power means silencing or throwing out all those who are not "ordinary people", i.e. them. AfD in power means AfD in power. Therefore, I am not sure if an AfD on Petry’s course wouldn’t be even scarier that an AfD on Gauland’s and Höcke’s. Their alleged "fundamental opposition" strategy with all its nouvelle-droite-inspired metapolitical mumbo-jumbo is not funny, but not all that dangerous either. Their strategy works only as long as we do them the favor of continually giving them cause for insult and self-victimization. If and to what extent we do this, we can determine ourselves. There was no lack of reasons to ponder on the right-wing populist feedback loop of power this week. Last Sunday, Erdogan made sure his referendum question about empowering the President of Turkey was answered in the affirmative by a scant but sufficient majority of his subjects which, given the amount of power employed to achieve that aim, is rather less surprising than the fact that those who are in fact directly subject to that power voted Yes in far smaller numbers than those who are not – the diaspora Turks in Central and Western Europe. This stirred a lively debate about dual citizenship in Germany, a matter we already discussed pro and contra by two American experts before Easter. In Turkey, there is a debate whether the correctness of the referendum, given the lack of independent judicial control in Turkey itself, could be examined before the Strasbourg Court of Human Rights. Why this is probably not the case is shown by MARTEN BREUER (in German). In the UK, Theresa May took everyone by surprise with her announcement of a snap election. Accompanied by "Crush the Saboteurs!" chants of the ever more abominable Daily Mail, the British Prime Minister is trying to win from the citizens of her country a fresh mandate for her "hard brexit" line. For this to work, it is necessary that everyone believes that the Art. 50 TEU notification is as irreversible an act as May claims, that Brexit will now happen, no matter what, and therefore the only question is whether to entrust its execution to her or the hopeless Labour leader Jeremy Corbyn. Which is both legally and politically false, as PAOLO SANDRO explains in rather unsparing words. The biggest political event of next week, if not the next decade, will be the outcome of the first round of the Presidential election in France this Sunday. Marine Le Pen has promised Frexit to her constituents. How this, should she prevail, would work and how easy or difficult the French constitution would make it is examined by MARIE GREN with a comparative view to the British constitutional situation. 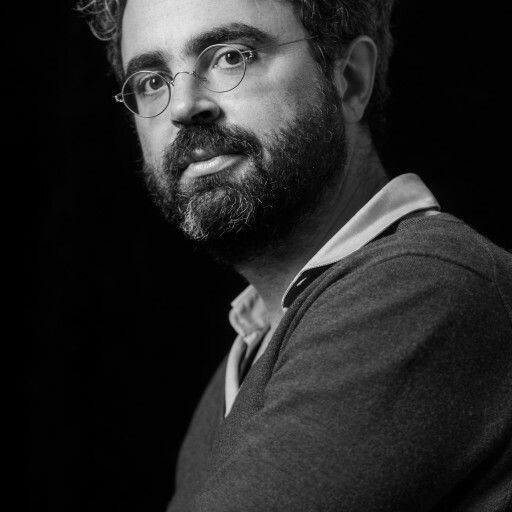 NIKOLAUS MARSCH, on the other hand, presumes that both Le Pen and rival candidate Emmanuel Macron, in spite of all the power the President has in France, would be likely to appear as Scheinriesen (illusionary giant, a figure made popular by the German novelist Michael Ende) in constitutional reality unless they also gain a majority in parliament (in German). The rocky shores of Gibraltar on the outermost end of the Iberian peninsula might appear a rather remote place from a European point of view, but as a British Overseas Territory on formerly Spanish soil it is likely to become one of the most fiercely contested hot spots in the Brexit negotiations. ALEJANDRO DEL VALLE GÁLVEZ explains how Brexit will change the delicate balance between both countries and the legal problems that ensue. In Germany, Federal Minister of Justice Heiko Maas has raked in a lot of political applause with a draft bill to ban child marriages. SABINE WITTING has some reservations, though, and questions if it really serves the benefit of the child in all cases, as required by Article 3 of the UN Convention on the Rights of the Child, to dissolve already existing marriages retroactively. ADEEL HUSSAIN, on the other hand, adds some valuable insights from the constitutional history of India that show how thorny it can be to regulate child marriage in an effective manner unless eradicating the institution itself, much in the way of eradicating slavery. Maas' other big-time legislative project these days, the Facebook/Hate Speech "network enforcement" law, has, on the other hand, met with plenty of harsh criticism, according to the analysis of LUKAS GERHARDINGER rightly so (in German). Operators of gambling halls usually enjoy little sympathy which is no reason to give them less protection by the rule of law as they deserve. The German Federal Constitutional Court has dismissed a case brought by several of them against the harsh new regulation enacted in a number of Federal States, and HEIKO SAUER is worried about the amount of slack cut to the legislators by the Court. ALAN RENWICK explains how a snap election in the UK can take place when the right of the majority to have Parliament dissolved at any time it deems fit has actually just been abolished, and PAUL REID is doing the same thing, while JEFF KING finds the whole maneuver constitutionally highly doubtful. GAUTAM BHATIA reports on a ruling by the Indian Supreme Court on the ban of appeals to religion in political campaigns. Finally: Today, together with the ICONnect blog, we are launching a highly topical new online symposium about "Constitutional Courts and Populism" organized by MICHAELA HAILBRONNER, starting off with an introduction by Michaela and DAVID LANDAU and with further contributions over the next week by ANDREW ARATO, OR BASSOK, ROSALIND DIXON, JUAN GONZALEZ BERTOMEU, JORGE GONZALEZ JACOME, ALON HAREL, SAM ISSACHAROFF, JAN-WERNER MÜLLER, BERTIL ODER and BILYANA PETKOVA, who illuminate how constitutional justice in various countries can cope with the populist challenge. SUGGESTED CITATION Steinbeis, Maximilian: The Feedback Loop of Power, VerfBlog, 2017/4/22, https://verfassungsblog.de/the-feedback-loop-of-power/, DOI: https://dx.doi.org/10.17176/20170422-160623. "Right-wing populists are not a party among many. They claim to represent "the people", and once they have the power of the state in their hands, they will not hesitate to use it to never let go of it"
Fearmongering without any proof. Postfactualism at its best. The Greens are an excellent choice to compare the AfD to in your pointless rant. @Bernd Lauer There is ample historical and contemporary precedence, certainly enough to extrapolate as Mr Steinbeis has. @Fischreuse So your expectation is that the AfD, if it – god forbid – ever comes to power, will betray its "ideals" and actually strengthen minority rights, soften the overly rigid asylum laws and embrace the EU? Funny as that would be, such ideas belong firmly into a place called Wolkenkuckucksheim. @ Bernd Lauert Well, for contemporary precedence one only has look to the constitutional crises in both Hungary and Poland (covered extensively on Verfassungsblog), both instigated by right-wing populists the AfD has cozied up to and both cases clearly showing those populists using the power acquired to get to keep it for as long as possible. There are gradual differences between Poland and Hungary of course (one being that Orban actually has the majority required to change the constitution, while much of the uniqueness of the Polish constitutional crisis stems from the fact that PiS does not have such majority), but the overall direction is much the same.